Social research efforts are often more concerned with basic social processes or patterns than with the dynamic relationship between social processes and social institutions. In this classic collection, contributors posit generalizations drawn from contemporary sociology. Their analyses go beyond elementary principles - they interpret them, qualify them, or state them more precisely. Each of the contributors focuses on the modern American social structure, and they are either explicitly comparative or have made observations that clearly are meant to apply to many countries.This volume both embodies and draws attention to newer developments in sociology. Like most steps forward in an advancing science, this orientation does not reject the older knowledge accumulated during earlier generations, but incorporates and expands upon it. The differences are in emphasis rather than any denial of the main body of accepted theory. On the other hand, the collection may be said to represent a response to the many criticisms, by humanists and sociologists alike, of the mainstream of contemporary sociology as it existed at the time of original publication in the late 1960s.Inquiries into social changes, like sociological studies of historical phenomena, may be viewed as modes of a comparative sociology: They permit us to test more fully sociological generalizations. The emphasis in this volume on historical and comparative studies and on social change parallels the growing attention of sociology to these problems. 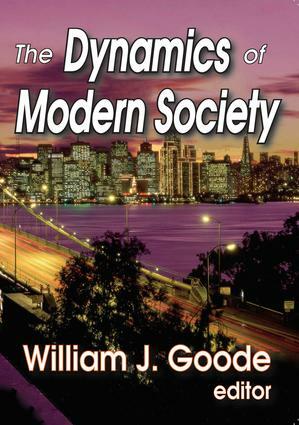 During the 1960s, social science turned from a nearly exclusive preoccupation with middle-class populations to a concern with social relations in other societies, past as well as present. In addition to enriching our knowledge, this broader view has increased both the precision and generalizing power of sociological principles.